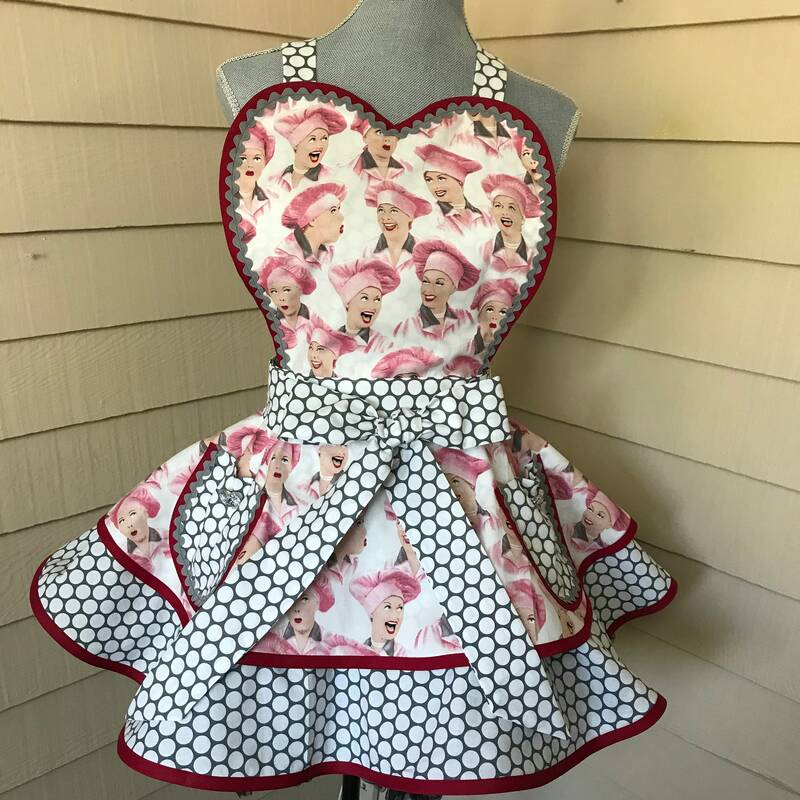 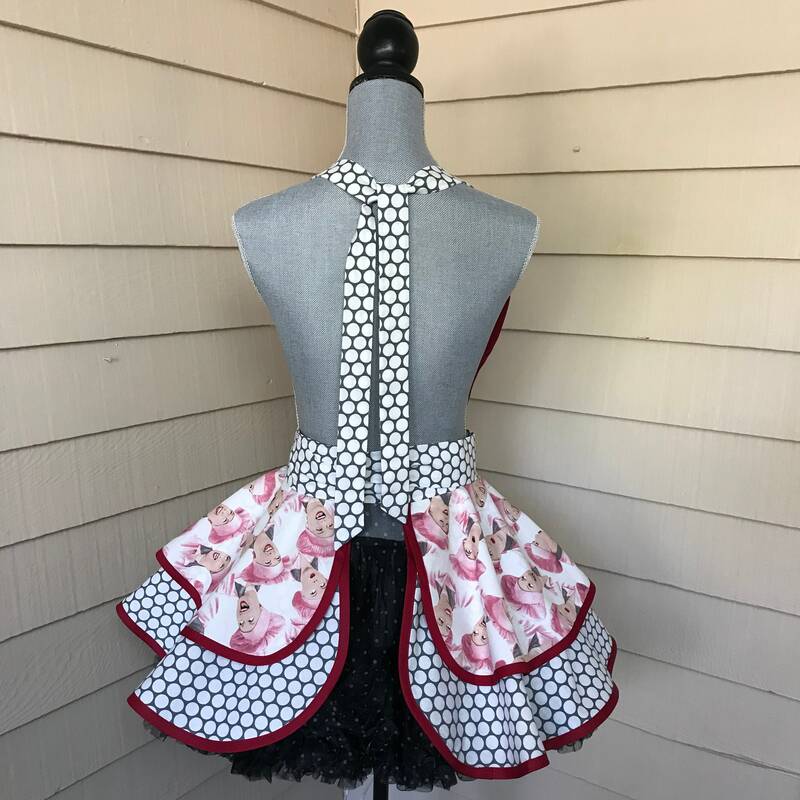 Rare I Love Lucy Chocolate Factory fabric made up in this cute retro apron and one-of-a-kind! 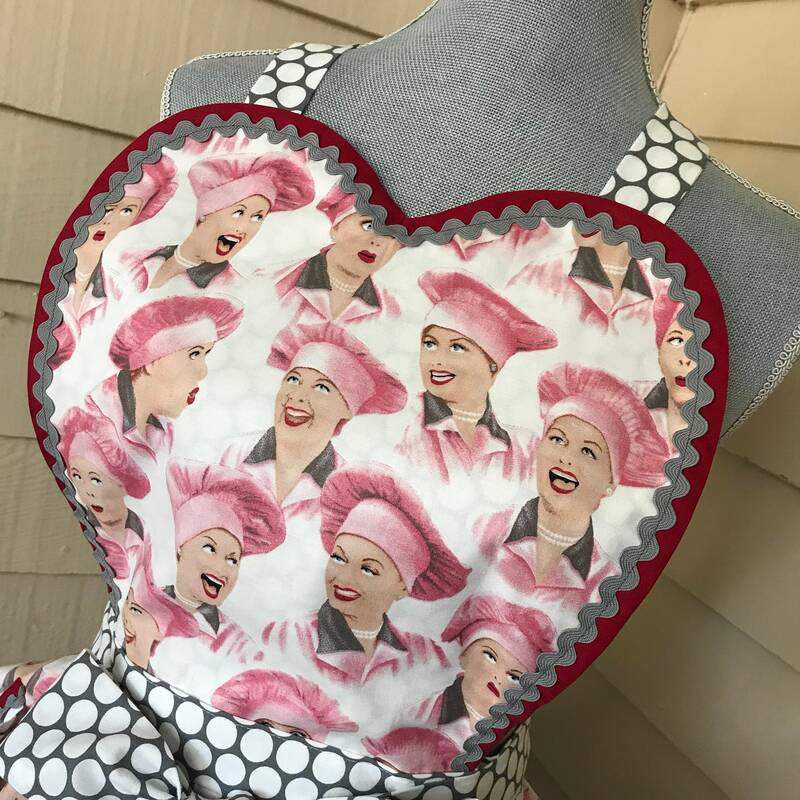 I've used gray and white polka dots to set off the colors in this wonderful but oh so rare print of Lucy and her side kick, Ethel, in the most watched of the shows episodes! 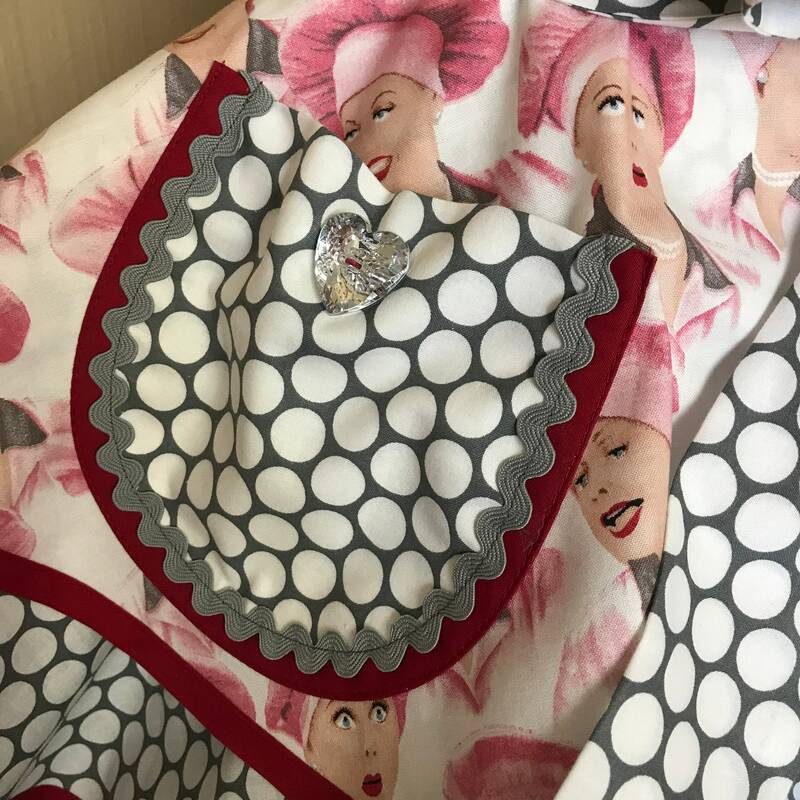 Reddish pink binding has been used on the bib, pockets and tiers, along with gray ric rac to enhance the colors in the great print! 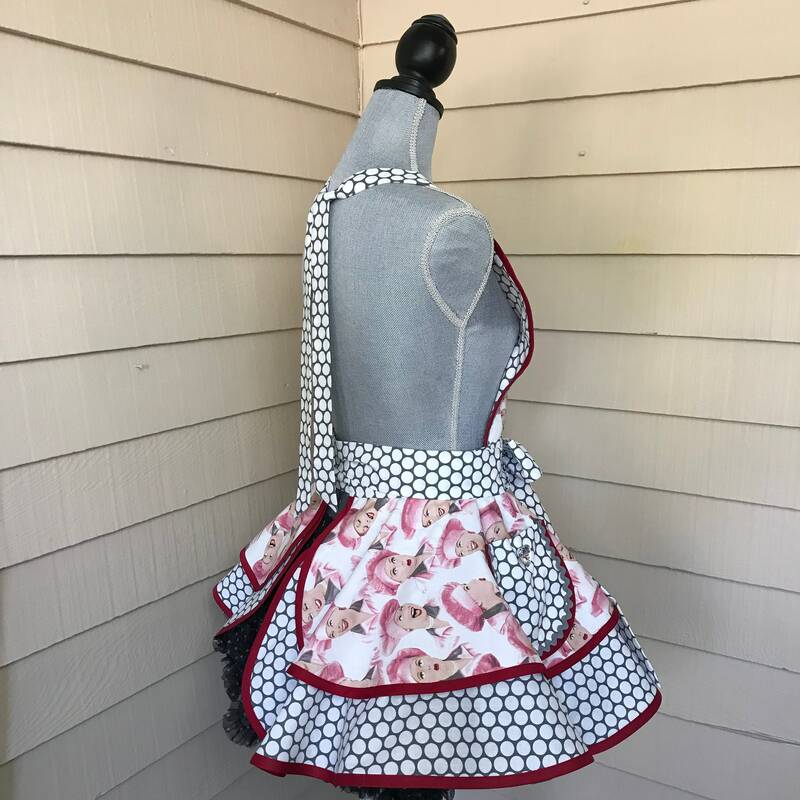 Don't wait to add this to your collection!